The Nebraska Horse Trails Committee will be applying for a State of Nebraska Specialty License Plate promoting equestrian use in our state. 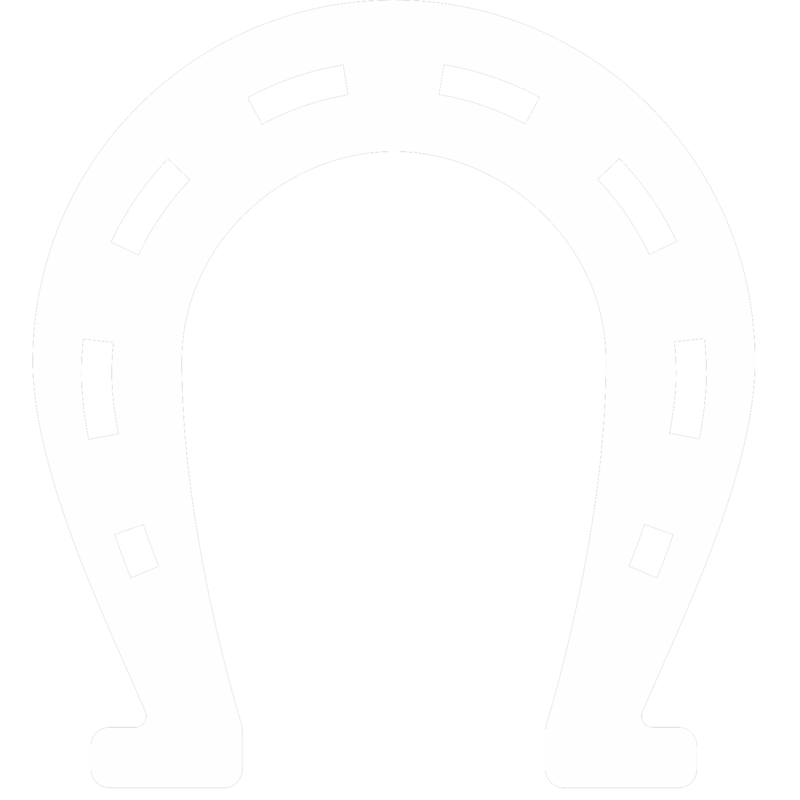 Prior to the application NHTC will hold a Nebraska Horse License Plate Design Contest. This is an art contest open to Nebraska residents of all ages that celebrates horses in Nebraska. There is no fee to enter. Two winners will be announced and exhibited at the Horse Trail Expo, March 9 & 10, 2019 at Chance Ridge Event Center, Elkhorn, NE. Other entries will be displayed if room allows. Monetary awards will be presented to the top adult (18 years & over) and youth (17 years and younger). The winner's artwork may be taken into consideration for the formal final plate design, but does not guarantee the artwork will be used by the NHTC for our final submission to the DMV. The design must visually embody people’s enjoyment of equestrian recreation and the beauty of Nebraska. 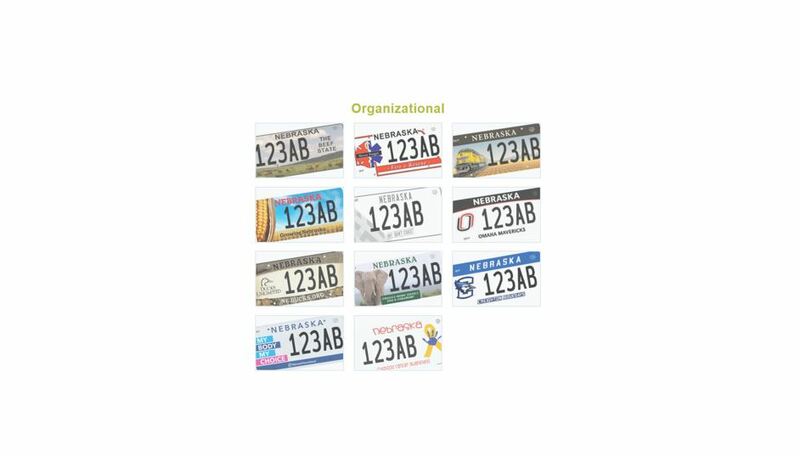 The design will meet the requirements of the Nebraska Department of Motor Vehicles License Plate Design. 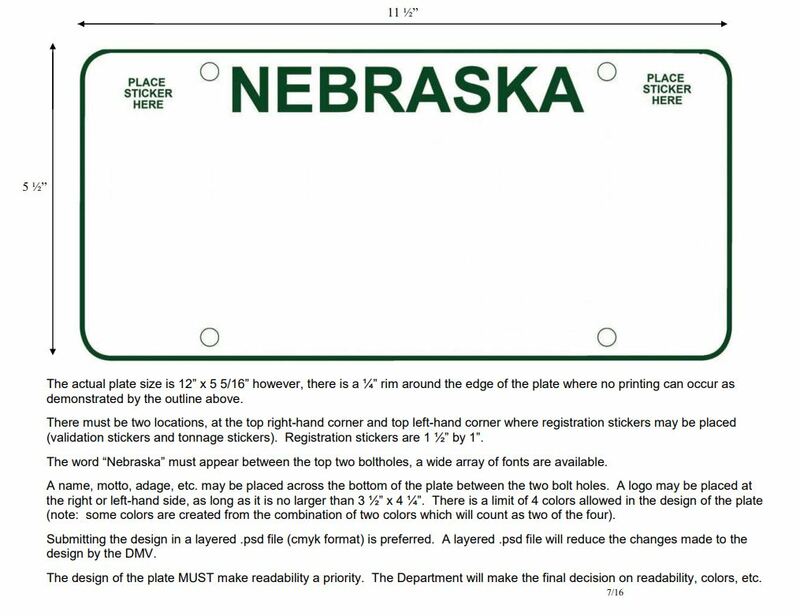 See Nebraska Department of Motor Vehicles’ License Plate Design Requirements. Entries will be acknowledged by electronic communication. We cannot be responsible for entries lost in the mail. There will be no artist signature or symbol on the final license plate design. By submitting an entry, the entrant will release all ownership of the design, except recognition at the Horse Trails Expo and the winners’ cash rewards. The NHTC maintains the final decision of the design submitted to the DMV. NHTC reserves the right to choose a design other than one submitted in this contest. All decisions of the NHTC are final. Participation constitutes the Entrant’s full and unconditional agreement to acceptance these Rules. By participating in the Contest, the Entrant is representing and warranting that he/she has ready, understood and agrees to be bound by these rules. The photograph, in its entirety, must be a single work of original material taken by the entrant. By submitting the photo, the entrant represents, acknowledges, and warrants that the submitted photograph is an original work created solely by the entrant, that the photograph does not infringe on the copyrights, trademarks, moral rights, rights of privacy/publicity or intellectual property rights of any person or entity, and that no other party has any right, title, claim, or interest in the photograph. The entrant agrees the Nebraska Horse Trails Committee and/or the Horse Trail Riding Expo may use your photo in publications or other media material produced, used or contracted by our organization including but not limited to: brochures, invitations, books, newspapers, magazines, television, websites, etc. The photo may be trimmed or cropped for specific media use. If a Youth submission is the winner, the parents or guardian of the child must sign a wavier on behalf of the child releasing the design. Entries may be submitted electronically (.phf, .jpg or .psd) format. Mailed entries can be sent to 1283 County Road H, Ithaca NE 68033. The entry must be received by February 18, 2019. Entries will be acknowledged by electronic communication. We cannot be responsible for entries lost in the mail.